ANNAPOLIS, Md. (AP) — The Maryland General Assembly has given final approval to raising the state’s minimum wage from $10.10 to $15 an hour by 2025. The House and Senate voted Wednesday for a compromise. That sends the bill to Gov. Larry Hogan, who opposes the measure. The House and Senate passed the bill with enough votes to override a veto. The governor’s office said Wednesday that Hogan will carefully review the legislation when it reaches his desk. 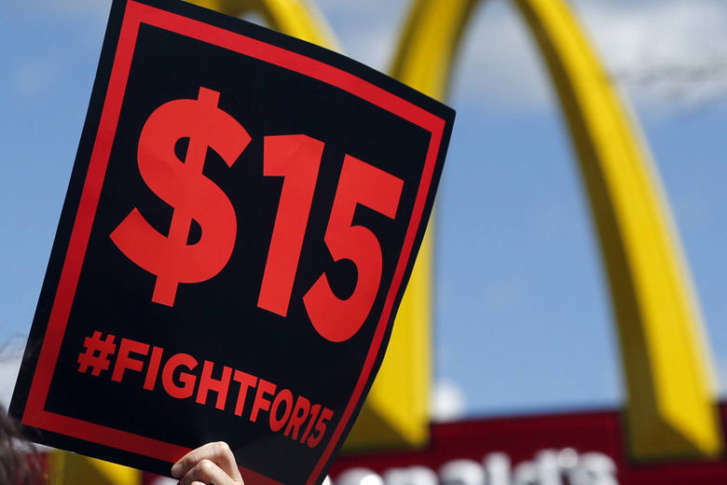 The minimum wage would increase to $11 in January. It would then go up 75 cents a year to $14 in 2024, and then reach $15 in the following year. The bill gives companies with less than 15 employees more time to phase in the increase. After reaching $11 next year, the minimum wage would go up 60 cents a year, and those businesses would not pay $15 an hour until July 2026.